In order to stay competitive, manufacturers are pressured to develop more complex parts in less time. These part designs, in turn, require more sophisticated measurement and inspection processes to meet quality standards. They want portability. Meaning, they want to make 3D measurements wherever you need to go. Not limited to the lab. They want true accuracy. That is, they need accurate measurements in real-life operating conditions. And they also want simplicity. They need solutions designed to provide accurate measurements with a simple, efficient measurement process. Now, thanks to CREAFORM, 3D scanning systems can augment existing Metrology assets with accurate and consistent results. Adaptive supports two primary applications: first article inspection compliance (FAI) and reverse engineering. The MetraSCAN 3D-R is a new robot-mounted optical 3D scanner for automated inspections on production floors. This self-contained system is designed for high-volume, 24/7 operations and requires minimal operator involvement. Even at production-floor speeds, the Metrascan 3D-R maintains a 0.078 mm accuracy for parts between 0.3m and 10m in size. New features include a powerful R-System control console, auto-calibration system, and the C-track optical tracking bar. The Metrascan is compatible with inspection software from 3D Systems and Polyworks. 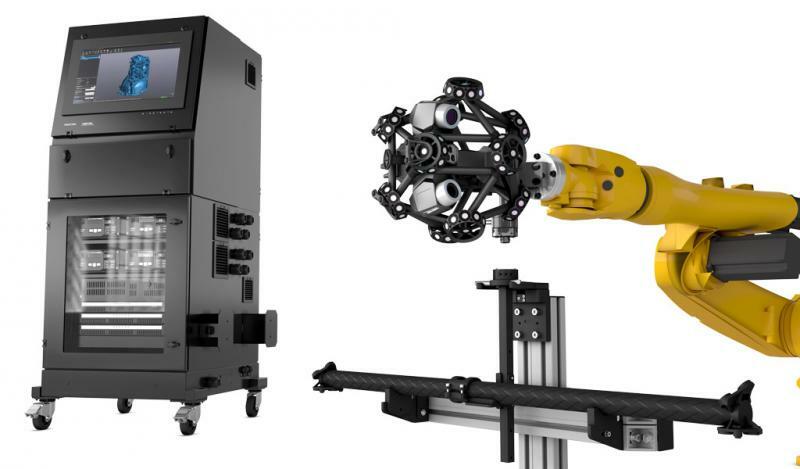 The CUBE-RTM is a turnkey automated 3D scanning CMM solution for at-line inspection. This automated 3D measuring machine features MetraSCAN 3D-R, a powerful robot-mounted optical 3D scanner that can be integrated into factory automation systems without compromising on accuracy. The CUBE-R can inspect hundreds of parts a day, including complex designs. One of the keys to the systems high-productivity output is the controller’s ability to multitask. The system offers simultaneous operation of data acquisition and analysis to generate an uninterrupted measurement flow. Thanks to the CREAFORM Academia package, 3D scanning and inspection processes can now be taught in class and used for research. Designed to be used in engineering courses, the Academia kits include portable 3D scanners, inspection and reverse engineering software, teaching kits, video tutorials, sample datasets, and five-year customer care programs.